Ask just about anyone with a keen interest in Japan to name their favorites from the nation’s rich literary history and they are likely to rattle off a few famous names. But ask the same person for their favorite Japanese critics, and stony silence is likely to ensue. Surely this is right and proper? We tend after all to think of fiction as “creative” and primary, and criticism as “reactive” and secondary, footnotes that can safely be skipped. That would be to misunderstand, however, how “creative” the greatest critical thinking is. In fact, it is often defining works of criticism that have constructed the frameworks in which so-called creative writers operate. Nowhere is this more true than in Japan, where cultural critiques have repeatedly transformed the intellectual and artistic landscape. The greatest of all the cultural critics — and the true founder of modern Japan — was Yukichi Fukuzawa (1835-1901), whose sagacious visage looks out at us from the ¥10,000 note. Fukuzawa was a man of many parts, variously a philosopher, journalist, entrepreneur, translator and educator. Indeed, one of his greatest achievements was the founding of Keio University. But it is as a revolutionary cultural critic that Fukuzawa has had the greatest impact. His upbringing in a low-level samurai family imbued him with a fierce resentment of high-status samurai, whose arrogance was at odds with their obvious ineffectiveness in coping with the national crisis sparked by the arrival of Adm. Matthew Perry’s Black Ships in Tokyo Bay in 1853. Fukuzawa had been steeped as a boy in neo-Confucian thought, but had also trained in Dutch studies before switching to English. It’s difficult for us today to put ourselves in the mindset of the Japanese intellectuals of the late Edo Period (1603-1868), many of whom, while begrudgingly accepting the hegemony of Western gunnery, shipping and science, were agreed that the ethical systems and literature of the West could be safely dismissed as vastly inferior to the philosophical achievements of China and Japan. 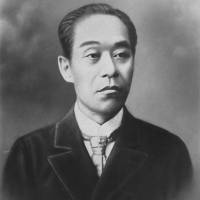 Fukuzawa, who traveled to America in 1860 as part of the first Japanese Embassy and then toured numerous European countries in 1862 as a translator on the first Japanese Embassy to Europe, diligently noted every aspect of Western commerce, industry, society and politics he thought might be of use to Japan. He published these observations from 1867 in his 10-volume work “Conditions in the West” (“Seiyo Jijo”), which became a runaway best-seller. Fukuzawa made perhaps his greatest contribution with the publication from 1872 onward of his 17-volume “An Encouragement of Learning” (“Gakumon no Susume”), marking a turn from neutral descriptions of developments in the West to earnestly exhorting his countrymen to overturn centuries of belief in the neo-Confucian vision of the universe. Steeped in feudalism, this view taught that every person has a fixed, defined role in a hierarchical society: women must be utterly subservient to men, children obeisant to fathers and subjects dutiful to rulers. Neo-Confucianism held that there was once a golden age of the sages from which society had fallen and to which it should aspire to return. Fukuzawa overthrew all of this with a revolutionary, skeptical style of inquiry that assumed no pre-ordained systems, only an ongoing dynamic of societal evolution to which the Japanese had woefully closed their eyes while the Western world progressed. One of the greatest flowerings of this revolution in thought happened in the field of literature. 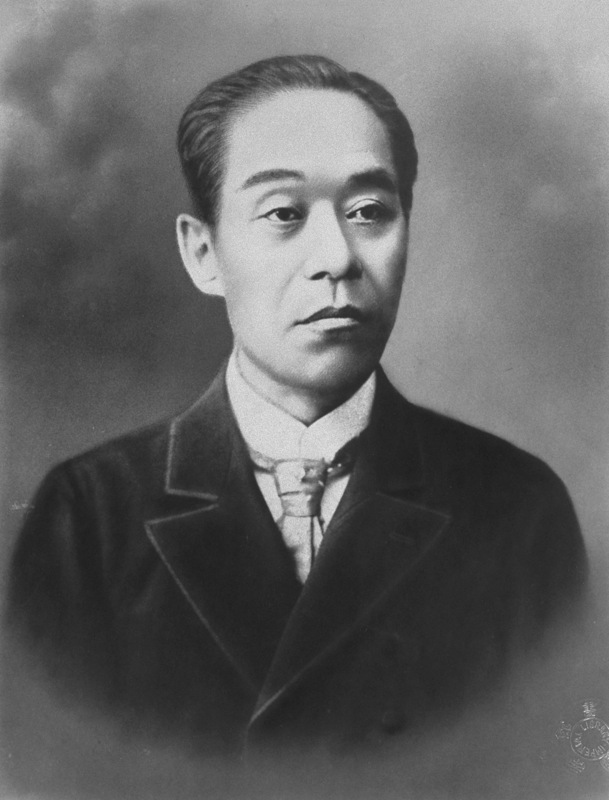 Fukuzawa’s call to reform and rethink every aspect of intellectual life encouraged both the revision of the Japanese language to meet practical literary needs and the embrace of modern forms of literature, from the pioneering psychological realism of Futabatei Shimei’s novel “The Drifting Cloud” (“Ukigumo,” 1887-8) to the Romanticism of Mori Ogai’s “The Dancing Girl” (“Maihime,” 1890). Fukuzawa’s call was not for slavish copying of the West — a notion he derided as fiercely as the old ideas he was railing against — but rather the pragmatic adoption of all things, regardless of origin, that suited local needs. Yet there was to be a sting in the tail. From the 1870s, Fukuzawa grew increasingly fearful of the imperialistic designs of Western nations and began to prioritize the strengthening of the nation state over individual liberty as a necessary expedient of the age. He even called for Japan to take the lead throughout Asia in resisting Western imperialism, implicitly encouraging Japan’s own imperial ambitions. The surge in nationalism in the late 19th century led more conservative thinkers to seize the moment by penning in 1890 the Imperial Rescript on Education, a document that called for Japanese students to abide by just the Confucian virtues of loyalty and blind obedience that Fukuzawa had spent his life denouncing. In English, Fukuzawa found his perfect biographer in the form of Carmen Blacker (1924-2009), a colorful Cambridge academic who was an associate of the great Arthur Waley, first translator of “The Tale of Genji.” The two worked together at Bletchley Park, Britain’s secret code-breaking center, during World War II. Blacker’s seminal 1964 work on Fukuzawa, “The Japanese Enlightenment,” is still one of the best introductions to this fascinating shaper of modern Japanese thought. It is often lamented that Japanese literature is in a long-standing state of malaise. Perhaps what Japan needs most is not a new novelistic talent, but a great critic to set the agenda of the age. If, as has been reported recently, the 1890 Imperial Rescript on Education — an embodiment of backward-looking, pseudo-moral propaganda — is in danger of being dusted off and reintroduced, then it may well be time for a second Fukuzawa Yukichi to emerge. This is the first of a three-part series called “The Critics Who Shaped Modern Japan.” The other installments will appear on the first Sundays of August and September.